Sh. Thawarchandra Ji Gehlot, Union Minister, Ministry of Social Justice and Empowerment will honour the programme as a chief guest. The Programme comprising of following event i.e. 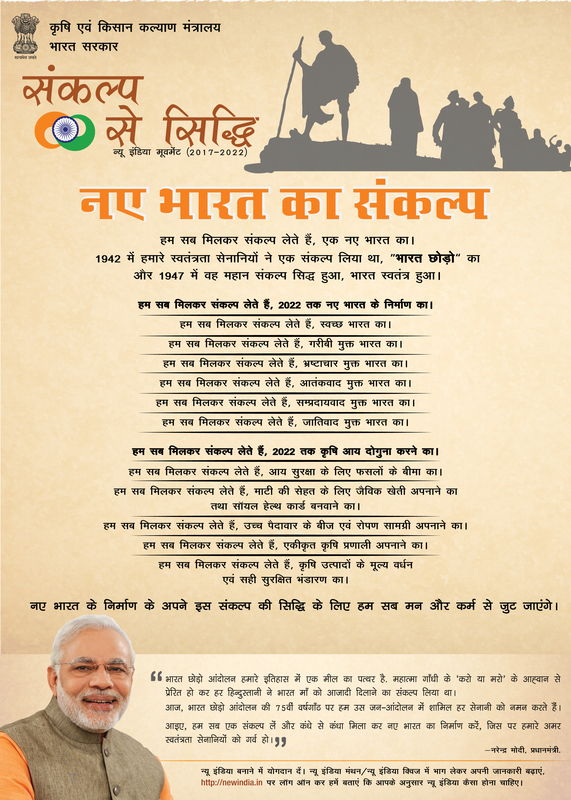 Message of Hon'ble Prime Minister(Video), Pledge, Talk of the expert, Address of the Chief Guest and Screening of inspirational film. Chief Guest's Remarks:He begin his address with Quit India Movement 1942. 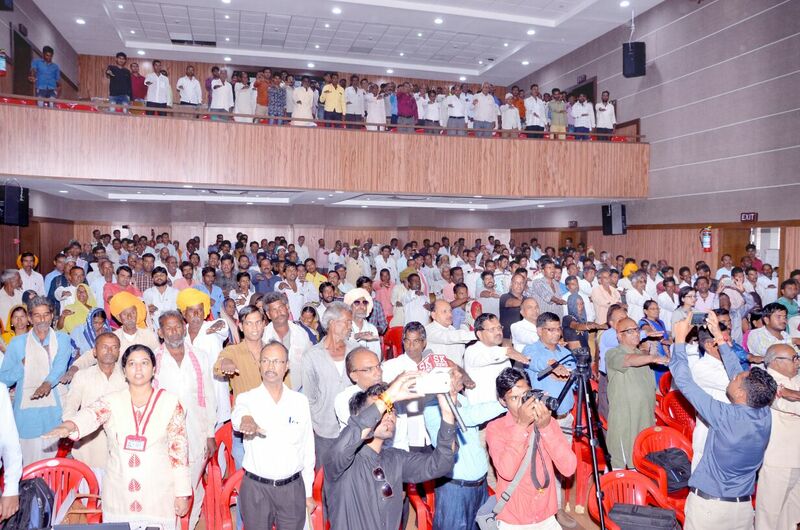 He urge farmers to take the pledge to adopt the scientific farming for doubling the income by 2022 i.e 5 years from this year. This movement must be like Quit India Movement that was also last for five years after which we got independence in the year 1947. He said KVK, Ujjain is working for delivering of scientific technology to the farmers. He emphasize on adoption of Integrated Farming System. He also mention the progress of MP government. Post Event Details:Gandhi Movie play for inspirational purpose to the farmers. 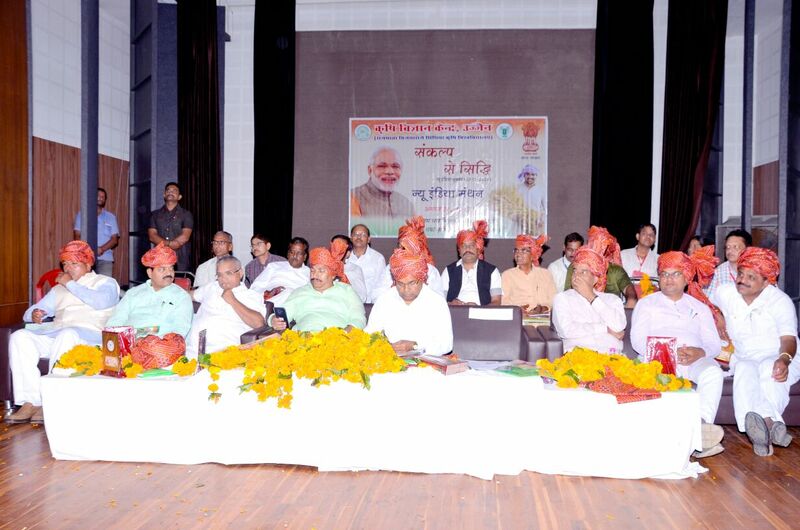 Programme comprising taking of Pledge for new India, Playing of Agriculture movie with Hon'ble PM speech i.e. Kisan Film received from ICAR. Exhibition arranged to encourage farmers. Presentation on IFS for doubling of income by Dr. R.P.Sharma. Programme brief by Dr. Anupam Mishra, Director, ATARI, Zone IX, Jabalpur(M.P.). Conduction of programme by Dr. D.S.Tomar and Sh. Y. Sharma. Interview of farmers conducted by Smt. Ghazala Khan to receive the feedback of farmers. Sh. Paras Jain, Cabinet Minister of Energy, Govt. of MP, Dr. Chintamani Malviya, MP, Loksabha and Sh. Bahadur Singh, MLA from Mahidpur and Dr. Mohan Yadav, Ujjain South present in the programme as a special guest. Public representative were also present in the ocassion.